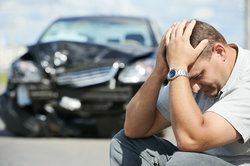 Worby Groner Edelman, LLP has provided legal assistance and counsel to the victims of serious auto accidents and their loved ones, helping them with the complexities of the legal process. This is especially important for those in White Plains who have been severely injured. Many times these severe injuries involve motorcycles. An issue that comes up a fair amount with regard to motorcycles and accidents is the practice of lane splitting. Let's focus on this topic right now. In simple terms, lane splitting involves a motorcycle moving between lanes while other vehicles are moving in the same direction and/or riding along the ling between lanes. This often occurs while the other vehicles are at stopped or moving slower, at which point a motorcyclist may feel inclined to use the dimensions of their vehicle to their advantage and proceed through traffic. Is lane splitting legal in New York? With the amount of risk presented by lane splitting, it should come as no surprise that it is illegal in most states, including New York. One of the notable exceptions is California, one of the few states when lane splitting is permitted. While these laws typically apply to all vehicles, in some states, these laws do not apply to bike riders. Motorcycle riders put themselves at risk for serious crashes, sometimes with multiple vehicles, especially while weaving through other vehicles that are either slowing down or at a complete standstill. Lane splitting puts new riders especially at risk. They may be clipped by side mirrors on cars or may bump and slide against the sides of vehicles. Other motorists may overreact as a result of lane splitting, swerving to avoid a motorcyclists but putting themselves at risk in the process. Essentially, all people on the road are at risk when motorcycles are ridden between lanes. Lane splitting also puts motorcyclists at risk for being victims of road rage. If provoked, drivers may feel frustrated by motorcyclists who are moving through traffic in a way they are unable to, and may react violently. Beyond road rage though, motorcyclists put themselves at risk for crashing into a driver who may not be used to driving through a highly congested area or are new to driving through a major city. Although laws in most states prohibit lane splitting, proponents for it argue that lane splitting actually reduces some risks for motorcycle riders, specifically around rear end accidents or crashes. According to proponents, the US DOT FARS database actually shows that fatalities from rear-end collisions involving a motorcycle are 30% lower in California, where lane splitting is perfectly legal, than in other states. Additionally, advocates of lane splitting also point out the benefits it has on reducing traffic during highly congested travel times. However, most transportation experts argue that there are too few motorcycles to legitimately identify any benefit lane splitting may have on traffic flow, especially in highly congested areas. Lane splitting is illegal in New York and unsafe in general. If you are a motorcyclist, abide by all traffic laws and make sure that you ride in a single, designated lane. If you would like more information about your legal options following a serious injury accident, be sure to contact our personal injury attorneys today. The team at Worby Groner Edelman, LLP is here for you in your time of legal need.